Jason Avery, night watchman at the New York Museum of Natural History, is ambushed by armed thieves on a mission to seize a mysterious obelisk with supernatural powers. During the confrontation, Jason recovers an amulet that opens a time portal. 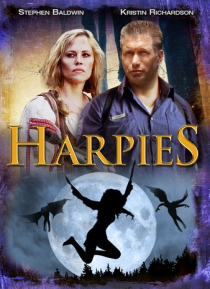 Sucked in and hurled back to a time terrorized by mythological harpies - evil winged female creatures who steal souls and devour flesh - Jason is largely … received as the prophesied savior who has come to rescue the villagers from the bloodthirsty demons.